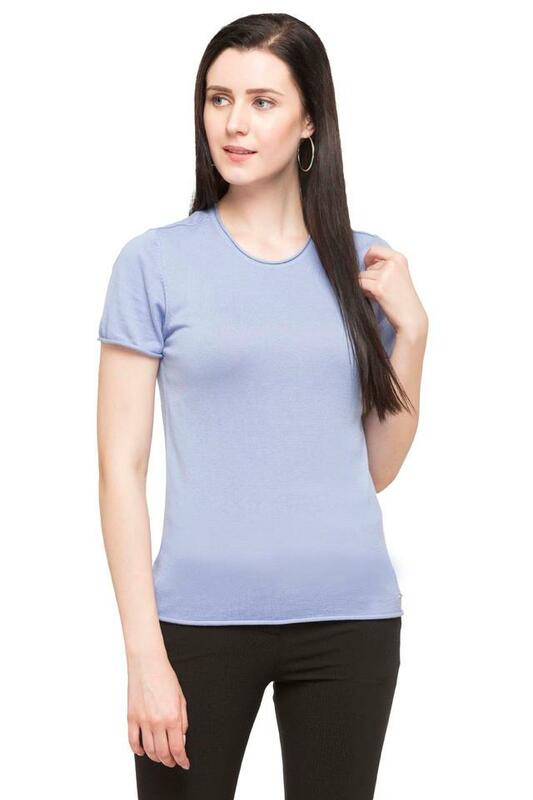 Display your curated collection of apparels with this top brought to you by Allen Solly. 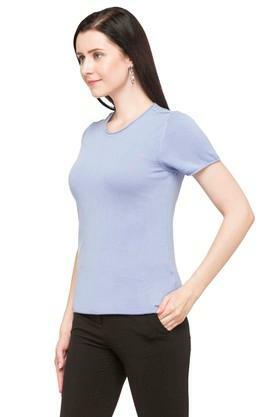 Featuring a slub pattern, it comes with short sleeves that lend it a classy look. Besides, it comes with a round neck which further accentuates its design. Also, it is made of fine quality fabric that will ensure you a hassle free maintenance. Add a tinge of style to your wardrobe collection by opting for this top. 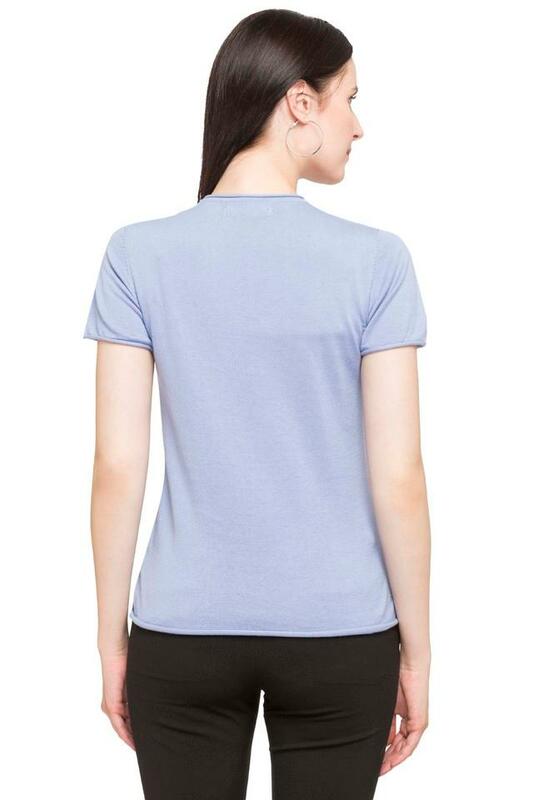 You can team it with a skirt or a pair of shorts and heeled sandals to look perfect for any casual occasion.